In the past few days reports have come out about British citizens, some of whom are of Kurdish extraction, others not, travelling to Syria explicitly to fight ISIS. They make it clear they are not being paid, in part for legal reasons, but their decision to take on ISIS directly, and bravely, has confused the Home Office. One report involves two British men who have allegedly gone to defend the Syrian town of Kobani from ISIS, another involves a teenage girl of Kurdish descent and yet another of a group of retired soldiers who have gone to fight. The reason for the confusion is the moral equivalency that has been granted between ISIS and its Kurdish opponents, although David Cameron has confidence that the UK Border Agency can tell the difference. I don't share his confidence, particularly when it comes to Kurds who wish to fight, who may be assumed to be aligned to the Marxist-Leninist PKK separatist group based in Turkey. Given there has been absolutely no terrorist activity in the UK aligned to Kurds, they ought to simply be left alone. In New Zealand of course, you can't go off as a mercenary to fight ISIS, because the Clark Government, encouraged by the Greens, and also supported by Jim Anderton and Peter Dunne. National and NZ First opposed the legislation and you can read here the banal background as to why it was supported, though it is telling that the only member of the Select Committee who is still an MP is Peter Dunne. This report I read from Manchester brought up for me what really was going on here. Parents are upset that a lie they tell children was contradicted by a teacher telling the truth. So here is the perennial seasonal issue - is it ok to convince children Santa Claus is real? I believed in the legend when I was a child, until some kid at school said I was an idiot for believing in it, and then it started to make sense. I felt foolish for a while, wondered why my parents would lie to me, and got over it. It isn't a big deal at all. After all, if you can't figure out by a certain age that a big fat man with a flying sleigh and reindeer delivering presents to 2 billion children over 24 hours isn't bizarre, then you're not going to be able to know how to use cutlery, dress yourself or be a functional adult. The choice is a little complicated. You can say Santa Claus is a myth, but lots of kids believe it and don't spoil it for them. I'm not a parent, so I'm quite open about the idea. It's beautiful to see kids enjoying Christmas, the sights, sounds and the celebration of this time of year. However, what does Santa Claus teach? "He" teaches that you can get presents from someone far far away, who knows if you've been naughty or nice, so you better be good or he will deny you presents. Hmmm. Not quite socialism, as you "earned" the presents. However for what? Being good? Sounds a little like Kim Jong Il dishing out presents to the little people. Did this come from another group of Islamist men seeking to cheer on their murderous comrades in their proud courageous rampage through villages of non-believers, as they behead men, women and children? No, it came from the British left, an organisation called Left Unity which has the backing of George Galloway and Ken Livingstone, both well known as firebrands who have sympathised with authoritarians of many colours. Guido Fawkes has this coverage of the event. Yes - now just think about the contradictions. - And of course, being gay/lesbian/bisexual etc would be totally forbidden, and any expression of such behaviour would be punishable by death. By what stretch of the imagination of any, so-called, liberal leftwing campaigner, is this emancipatory, without the sort of Orwellian contortions that are used in Pyongyang to talk of its regime being free and democratic? - repeatedly threw computer keyboards (and staplers) onto the floor in anger. Bullying? Well those who allege such a thing ought to stand up. However, the bigger story is his anger in dealing with staff, and difficulty in accepting blame. Not for one moment will Brown accept he overspent whilst he was Chancellor of the Exchequer, even though he almost always ran significant budget deficits - during the good years. Not for one moment will Brown accept some responsibility for an investment environment that encouraged property speculation and rewarded the banking industry for investing the vast quantities of fiat money that buoyed the economy, until it crashed. Nor will he accept that the vast spending increases on the NHS have delivered much other than increase salaries and tread water. In short, he doesn't like taking advice which tells him he is wrong, and so because he does not receive bad news as quickly as he should, and because criticism and self-reflection have to be driven internally, and not from advice, he is more prone to making mistakes. Now there is never a shortage of reasons to vote against incumbent politicians. Most are gutless against the claims and calls of the vested interests who want other people's money, want to restrict the private property rights of others and prevent competition. Lying, deliberate obfuscation and a belief they know best for others are all par for the course. However, to be unable to listen to advice, to be only too willing to blame those around him, when he himself makes the decisions. To be so obviously incapable of making certain decisions, such as when to hold an election (after teasing for so long that it was imminent), to "what's my favourite biscuit", is the sign of no leader. The man who boasted of abolishing "boom and bust" had a whole team behind him, many of them are with Ed Miliband (and includes him). Why would anyone trust them at all to lead a TV quiz show team, let alone lead a government? 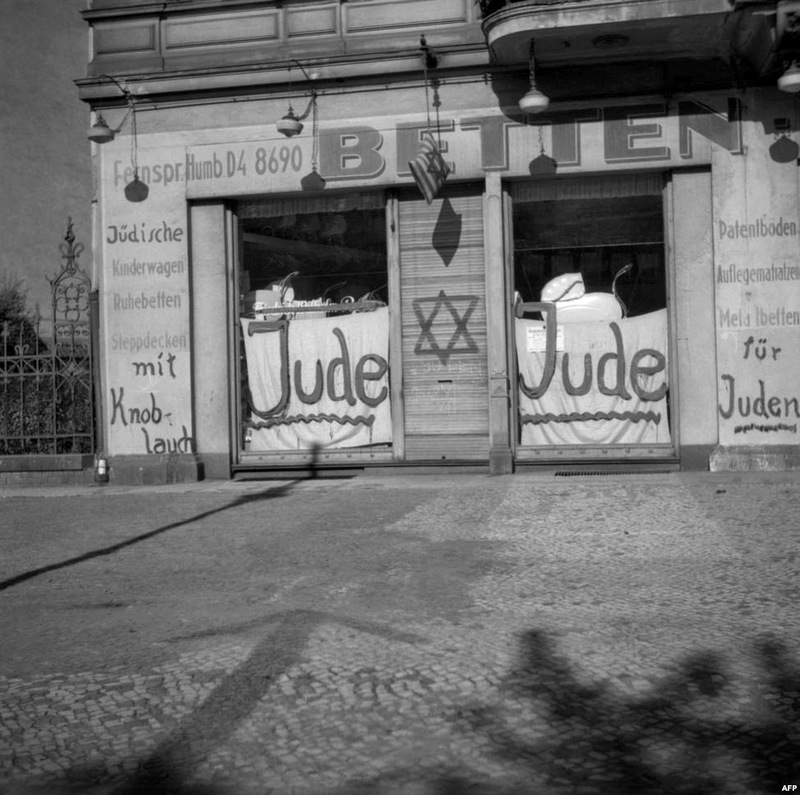 25 years since the fall of the Berlin Wall is also 76 years since Kristallnacht, the "night of broken glass", when the Nazi pogrom against the Jews entered a new phase. Both events buffer periods of German history that pretended they were the antithesis of each other, when in fact they were different aromas from the same poison. The poisonous belief that human beings exist not for their own ends, but for some "greater good" that they may readily be sacrificed for.